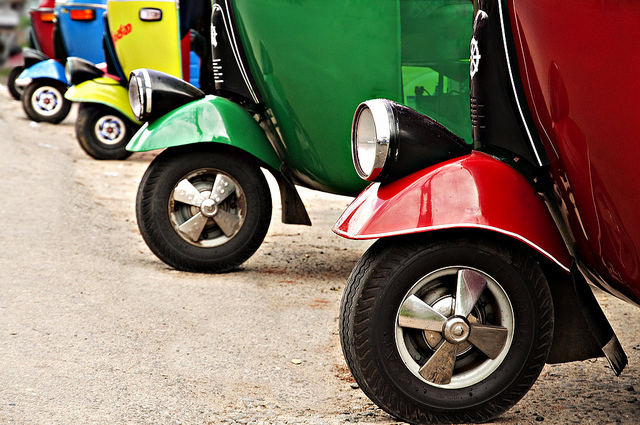 Chapter L by Paul Barter in UNEP's newest report presents three-wheeled passenger cars as a significant and acceptable component of the urban transport system in developing countries. Photo by Brett Davies. The United Nations Environment Programme’s Risoe Centre released a report on the technologies that can help mitigate climate change in the transport sector. The report, written in collaboration with the Global Environment Facility, is part of the Risoe Centre’s Technology Needs Assessment (TNA) Project’s series of guidebooks. The TNA Project assists select countries worldwide in determining their technology priorities regarding mitigation of greenhouse gas emissions and adaptation to climate change. Previously the project released guidebooks on mitigation technologies for the water sector and for coastal erosion and flooding. They are currently working on similar guidebooks for the building and agriculture sectors. The report, “Technologies for Climate Change Mitigation: Transport Sector,” is an attempt to assist transport officials in developing transport services and facilities in their respective countries and localities, all while accomplishing two important missions: implementing transport that better serves people’s needs and enhances their lives, and cutting greenhouse gas emissions. The guidebook recognizes the challenges in implementing comprehensive and environmentally conscious transport: cheaper and accessible, but also expansive and better quality transport that reduces pollution, congestion and road fatalities, while supporting economic development and reducing greenhouse emissions.“This can be achieved,” the report says, only if mass transit, walking and cycling are supported, encouraged and made attractive. providing additional sources of information to enable detailed follow up. Though the report works to cover all aspects of climate change mitigation through transport, it fails to address the limitations of its data. The Millennium Development Database used in the report dates back to the late 1990s, outdated in the fast-pace and ever-changing technological landscape of the 21st century. “There are several things the report can improve,” Hidalgo said. “One element is updating the data from cities, which is from 1995. Another is using good analysis more extensively, such as IEA’s reports or the World Bank’s Low Carbon Growth Studies. It will also be useful to go deeper in the foot-printing,” he concluded. What was the biggest lesson you learned in reviewing the publication? TL: The report contains good information on many specific strategies for increasing transport system efficiency and the various economic, social and environmental benefits they provide. Many efforts to address environmental objectives can also increase economic productivity and opportunity. 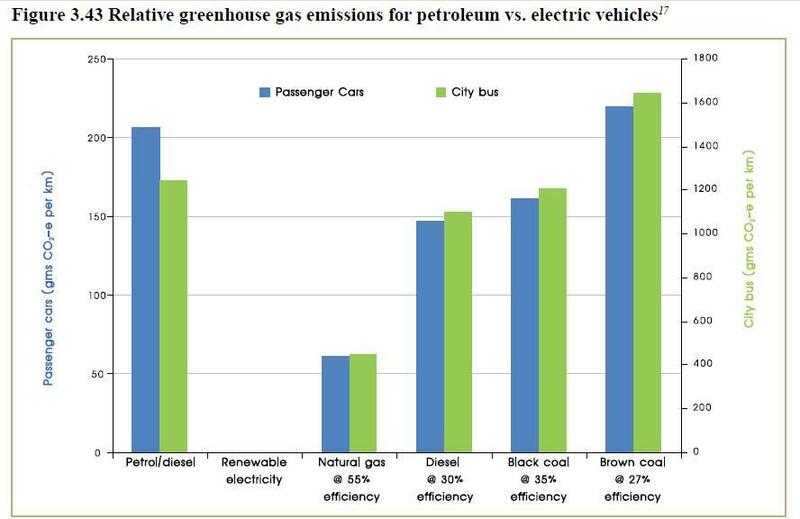 A key lesson is that transportation price increases are generally not economically harmful; charging more for using roads, parking and fuel tends to increase transport system efficiency and supports the development of alternative modes and more accessible land use development, which reduces total transportation costs. 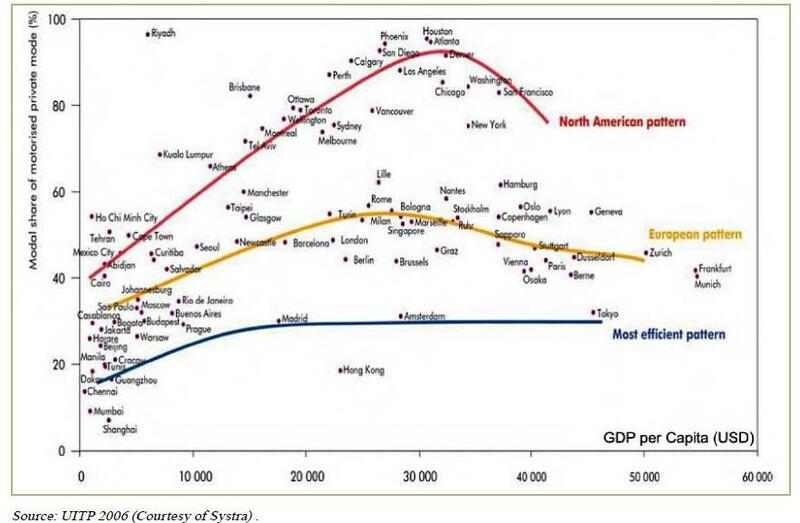 Most developing cities are at the extreme left and are in a position to choose where they want to go (to super efficient Amsterdam and Tokyo, to balanced Frankfort and Munich, or to unsustainable Houston and Atlanta). What’s the most cutting-edge idea presented in the publication? TL: The discussion of “transit leverage” effects. High quality public transit (urban rail and bus rapid transit) are often criticized on the grounds that at best they carry only a small portion of total regional travel. But by providing a catalyst for more compact, transit-oriented development, these systems can provide much larger reductions in vehicle travel. Residents of such communities tend to drive less, own fewer vehicles, rely significantly more on walking, cycling and public transport, and benefit substantially, as a result. Our challenge is to communicate the very large impacts and benefits that can result from such projects. DH: I really liked Paul Barter’s approach to motorized three-wheeler taxis as an acceptable and sustainable mode of transport. “The traffic (…) would be much less congested and produce much less pollution and greenhouse gas if there were fewer cars, and instead improved, cleaner technology auto-rickshaws delivered passengers to bus and train services.” [You can find more information on auto-rickshaws research by EMBARQ’s center in India here.] And very opposed to the views of “progressive” decision makers that want to see them banned off their streets. Do you feel it is important to shift the conversation on climate change negotiations from technology to a more “holistic” approach? Why? TL: Absolutely. Conventional planning is reductionist: individual problems are assigned to specific professions and agencies with narrowly defined responsibilities. This can result in those organizations rationally implementing solutions that exacerbate other problems facing society, and tends to undervalue strategies that provide multiple but more modest benefits. For example, with conventional planning, transportation agencies often implement congestion reduction strategies, such as highway widening that, by increasing automobile dependency and land use sprawl, increase total accident risk, consumer transportation costs, energy consumption and pollution emissions. Similarly, reductionist planning can result in environmental agencies supporting emission reduction strategies, such as fuel efficiency mandates and alternative fuel subsidies, which, by reducing the per-kilometer cost of driving, increase total vehicle travel and so exacerbate traffic congestion, accidents and land use sprawl. A holistic approach means, for example, that transport agencies choose the congestion reduction strategies that also help reduce energy consumption, emissions and accidents, and improve mobility for non-drivers; and environmental agencies choose the emission reduction strategies that also help reduce traffic and parking congestion, and save consumers money. What do you feel must happen in order for the transportation sector to have a true transformation with the environment and people in mind? TL: We must do a better job of communicating the full savings and benefits to users and society that result from a more diverse and efficient transportation system. Too often people assume that efforts to increase transport system efficiency, although good for the environment, are harmful to consumers and businesses. That is not true at all. Many of the strategies described in this report benefit consumers by improving their mobility options and reducing their overall transport costs, and benefit the economy by increasing overall efficiency and reducing costs to governments and businesses.